Rise of Troy: Buckeyes QB wins Heisman Trophy NEW YORK -- Winning the Heisman Trophy was easy. The hard part for Troy Smith was staying composed. To the surprise of no one, the Ohio State quarterback was a runaway winner Saturday night of the award that honors college football's best player. 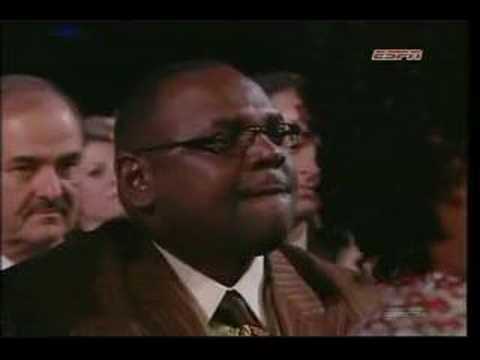 Seconds after his name was called, he hugged everyone important in his life -- coaches and family -- let out a deep, deep sigh and headed for the podium. "Normally, I'm pretty cool in pressure situations, but my heart is pounding so fast now," he said. "I'm at a loss for words. I just can't believe this is happening. ... It means everything. Just to be here in this situation. I love everybody back home in Columbus." 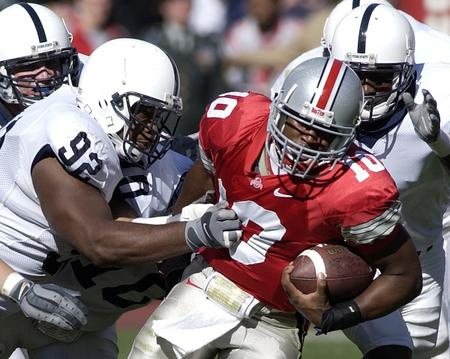 NEW YORK - For Ohio State and Troy Smith, it's been that kind of year. The Buckeyes were No. 1 from start to finish and their star quarterback had no real challenger in winning the Heisman Trophy. Smith was a runaway winner Saturday night as the best player in college football, just two years after nearly derailing his career by taking money from a booster. 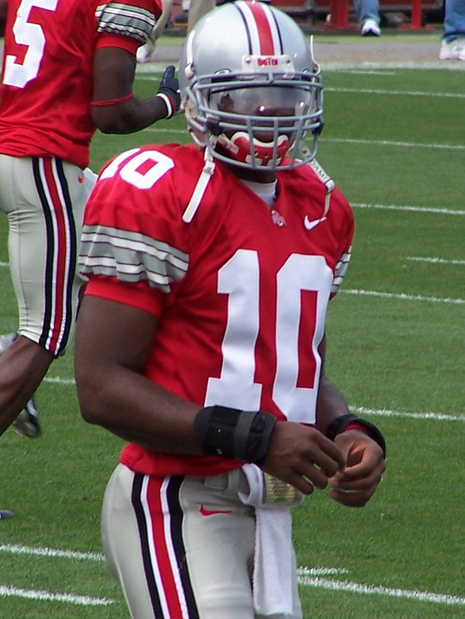 Saturday night Ohio State senior quarterback Troy Smith walked away with The Heisman Memorial Trophy and into Ohio State lore by joining a select group of former Buckeyes considered to be some of the all-time greats to ever wear the Scarlet & Gray. Considered the most prestigious award in college football, the Heisman has a long history with The Ohio State University. Named after John W. Heisman, the award is given each season to the player considered the best in all of college football. While it’s been several years for a Buckeye to take home the award, the ties between the two are well documented.